Circa 1937-1938: Inside Bottom Rings. 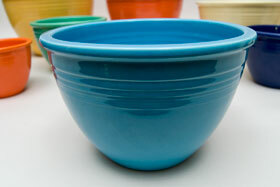 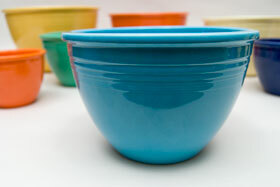 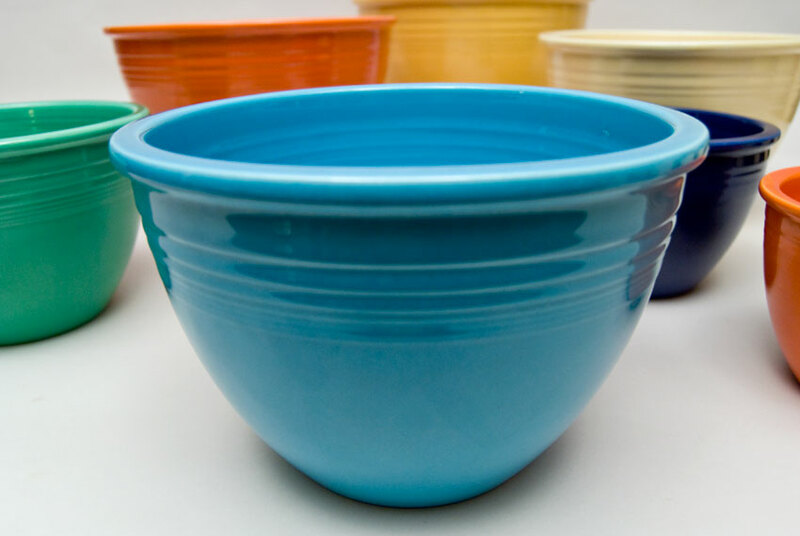 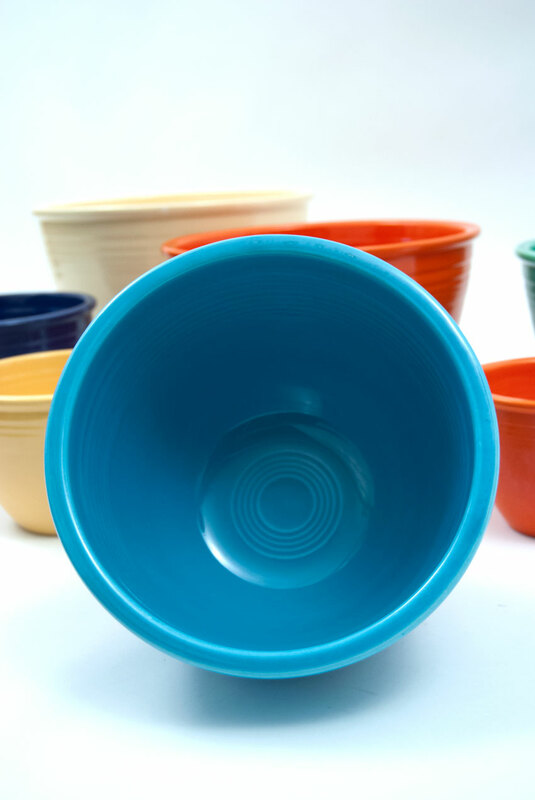 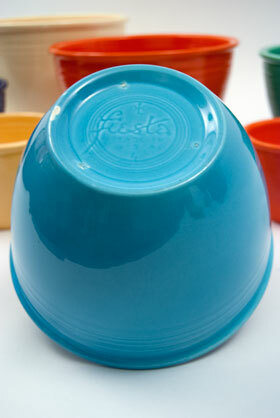 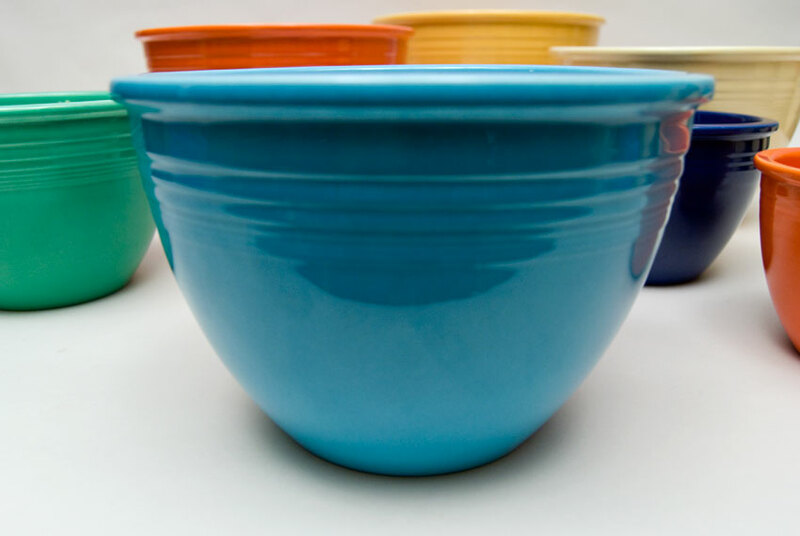 To find turquoise nesting bowls with inside bottom rings is a treat, since turquoise was the last of the original six glazes developed, not available until the summer of 1937, and inside bottom rings were removed from the bowl by the end of 1938. This example has a nice even glaze and shows very light signs of gentle use. No chips, cracks or repairs. Impressed in the mold "HLCo fiesta MADE IN U.S.A". Measures 7 11/16" w x 5 1/16h"